The Regional Stroke Systems Committee was formed in 2006 shortly after the SB 330 was passed. The group meets monthly and has both a performance improvement component and a systems development component in the meeting. 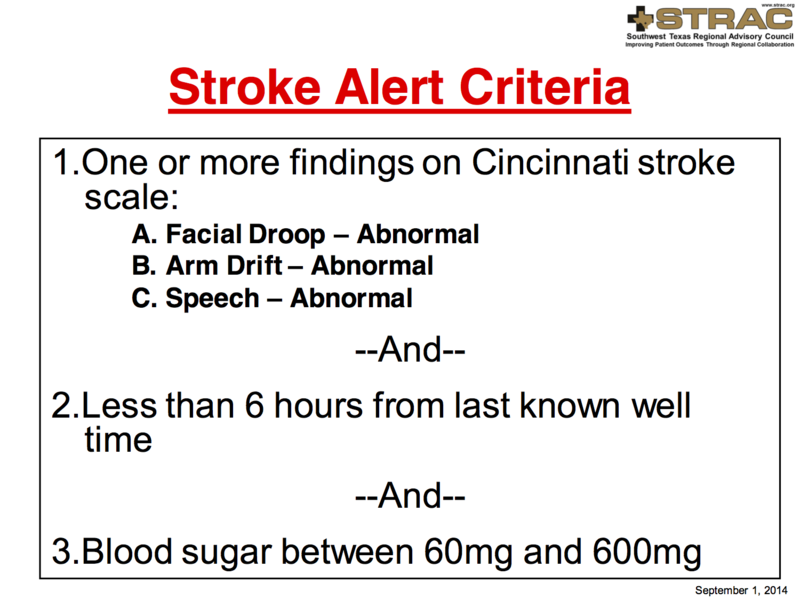 Since the group’s inception, they have developed and implemented “Stroke Alert” criteria, which allows EMS to triage and pre-identify the stroke patients at most risk and ensure they get to the correct facility. The group has also developed a Letter of Attestation, signed by both hospitals and EMS agencies, which delineate guidelines of care, transportation decisions and other key components of a regional stroke system. Hospitals and EMS agencies that have signed the Stroke LOA should have a representative at the Regional Stroke Committee meetings. 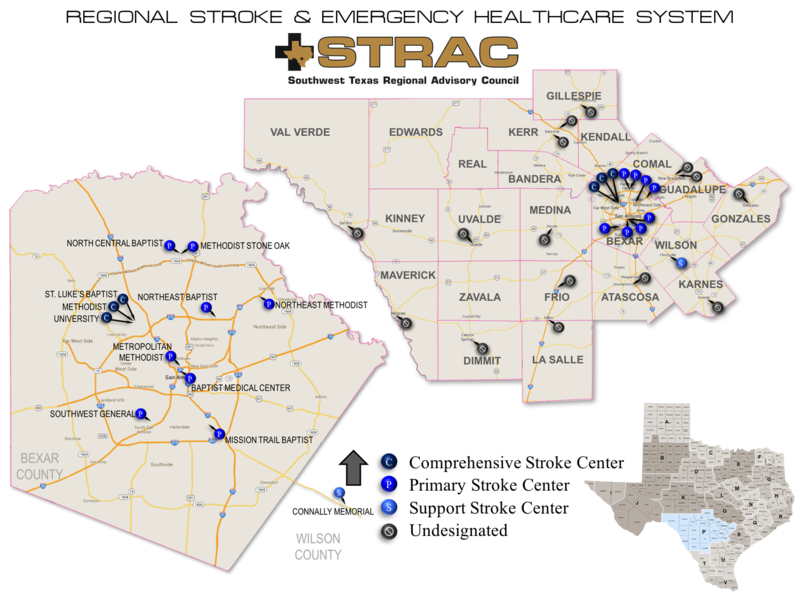 Stroke Coordinators, Stroke Registrars, Stroke Program Managers, ED Directors, Neurologists, Neurosurgeons, Emergency Medicine Physicians, Stroke Medical Directors and Administration of hospitals in the STRAC region that have signed the Stroke LOA should attend Regional Stroke Committee meetings as well as Air and Ground EMS Command Operations, Medical Directors, Chiefs / Directors, Clinical Operations, and EMS Performance Improvement in the STRAC region. 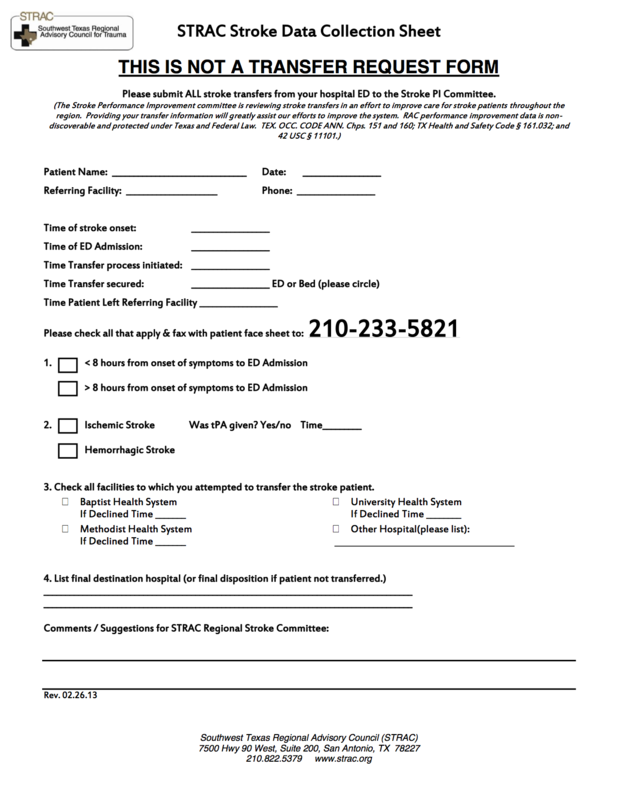 The Texas Stroke Coordinators' Forum is a stakeholder-led environment where stroke coordinators and their administration may have discussions to improve the Texas stroke rule in the short-term and improve stroke care in Texas long-term. Complete the form to add your name to the email list and receive updates on this discussion as it happens.